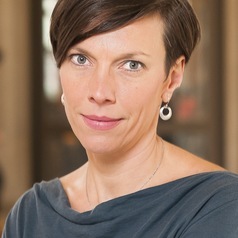 Amanda D. Lotz is professor of media studies at the University of Michigan and Fellow at the Peabody Media Center. Her latest book, We Now Disrupt This Broadcast: How Cable Transformed Television and the Internet Revolutionized It All was released by MIT Press in early 2018. She is the author of Portals: A Treatise on Internet-Distributed Television (2017), The Television Will Be Revolutionized (New York University Press, 2014, 2007), Cable Guys: Television and American Masculinities in the 21st Century (New York University Press, 2014), and Redesigning Women: Television After the Network Era (University of Illinois Press, 2006), and editor of Beyond Prime Time: Television Programming in the Post-Network Era (Routledge, 2009). She is co-author, with Timothy Havens, of Understanding Media Industries (Oxford University Press, 2017, 2011) and, with Jonathan Gray, of Television Studies (Polity, 2011).